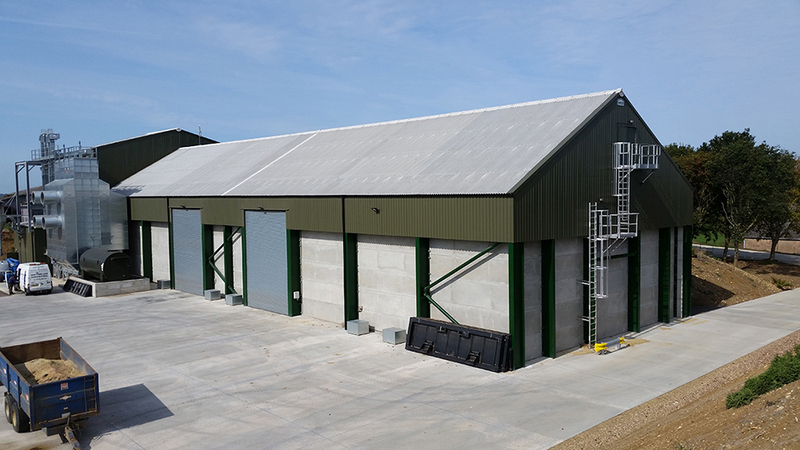 Buckminster Farms Ltd. - Bennett & Co Ltd.
For harvest 2018, Bennett and Co have completed a major investment in grain storage for Buckminster Farms Ltd. 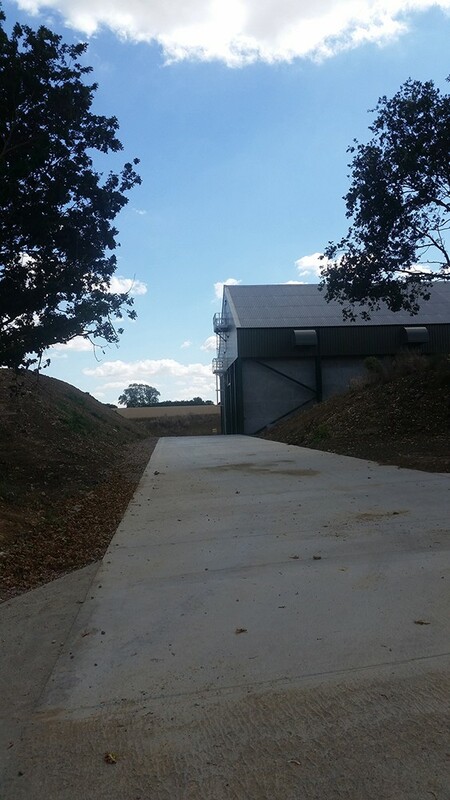 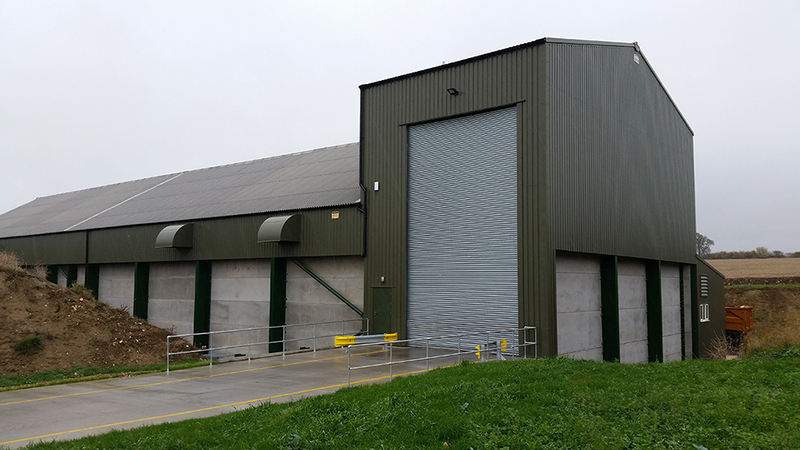 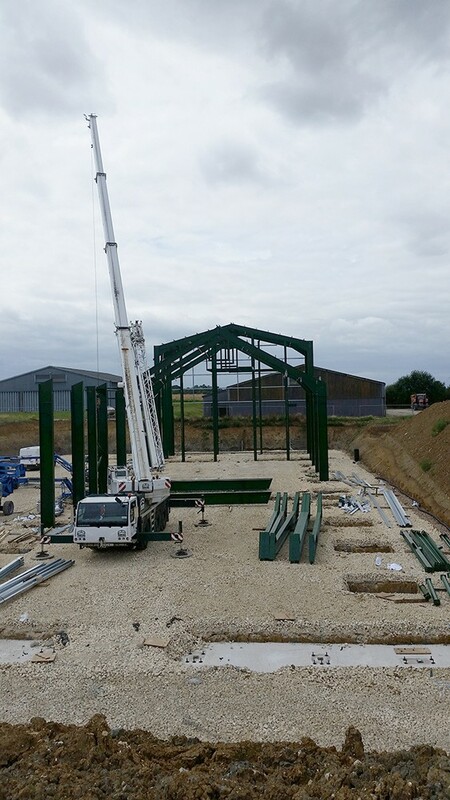 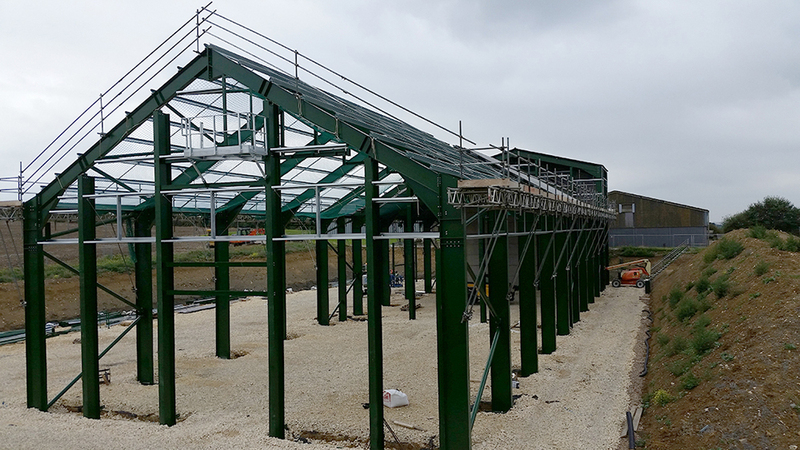 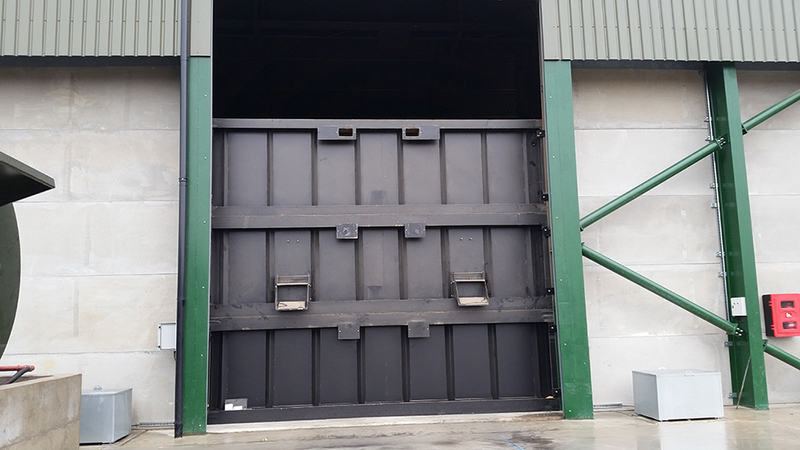 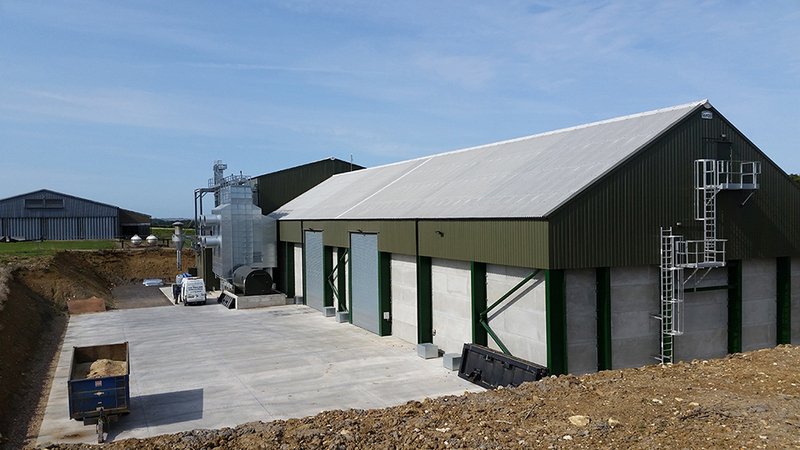 Following a complete review of their grain storage facilities and requirements, Perry of Oakley and Bennett and Co were asked to provide a solution. 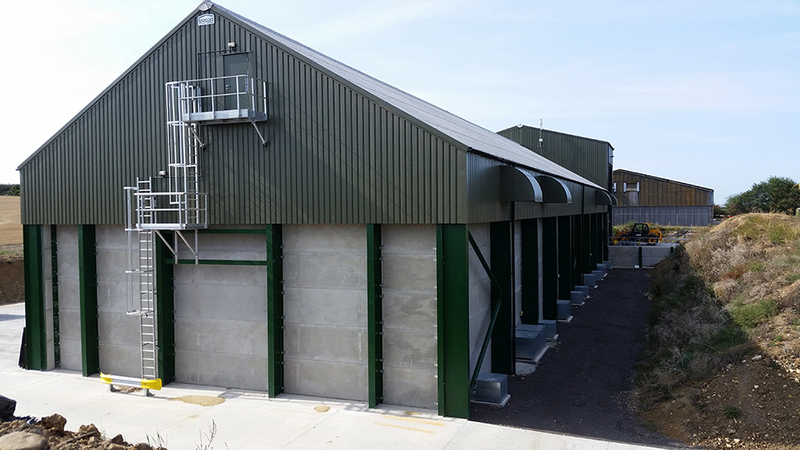 The design required two storage areas of 2500tonnes each with sufficient intake and drying capacity. 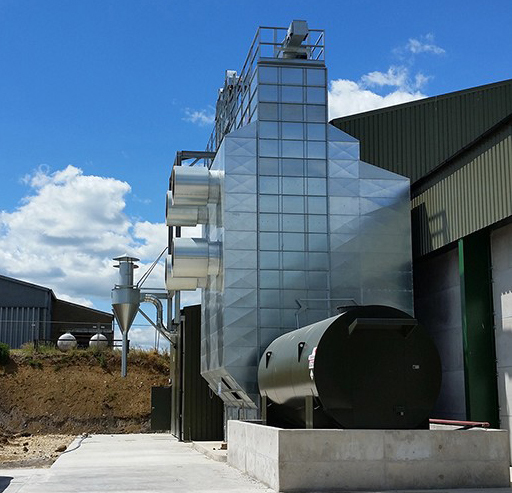 Perry supplied the 60tph continuous flow dryer from their new Savannah range complete with their light grain and chaff recovery system, invertor speed controlled main fans and touch screen control. 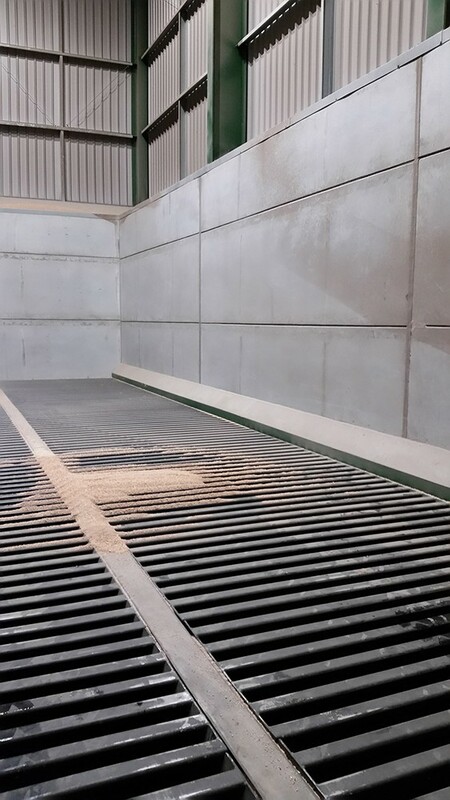 They also supplied 120tph bulk handling equipment including intake trench conveyors, aspirator cleaners, elevators, a variety of chain and flight conveyors and a belt conveyor to load the storage areas. 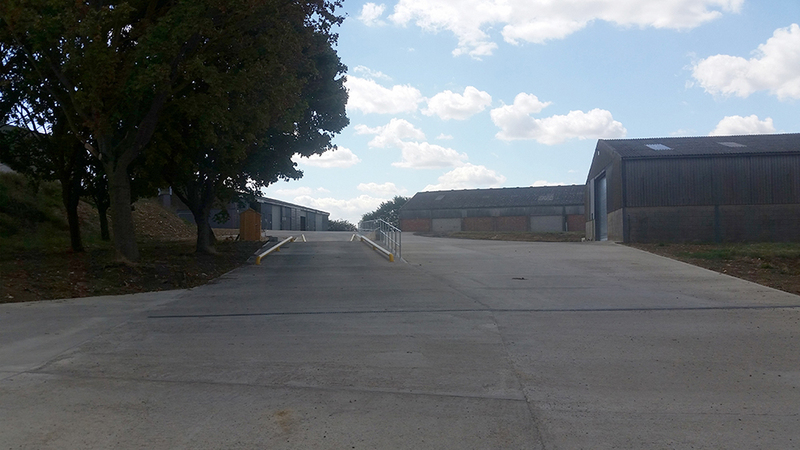 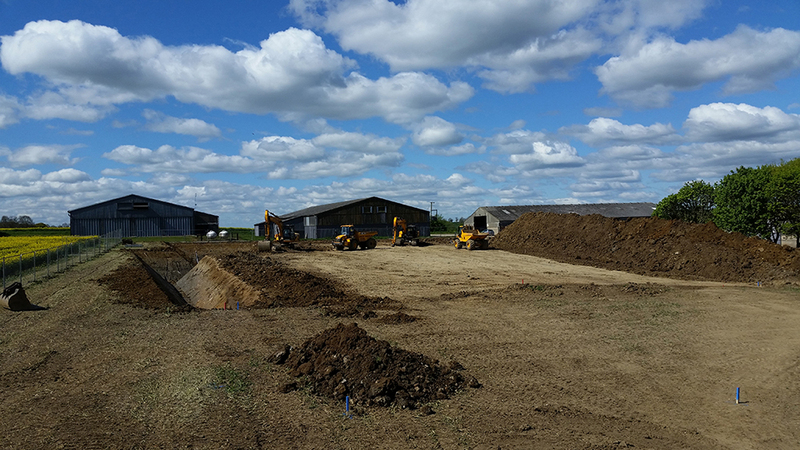 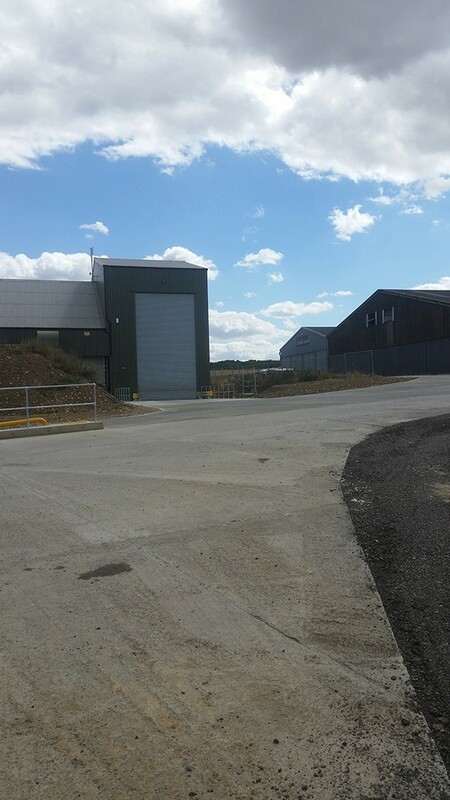 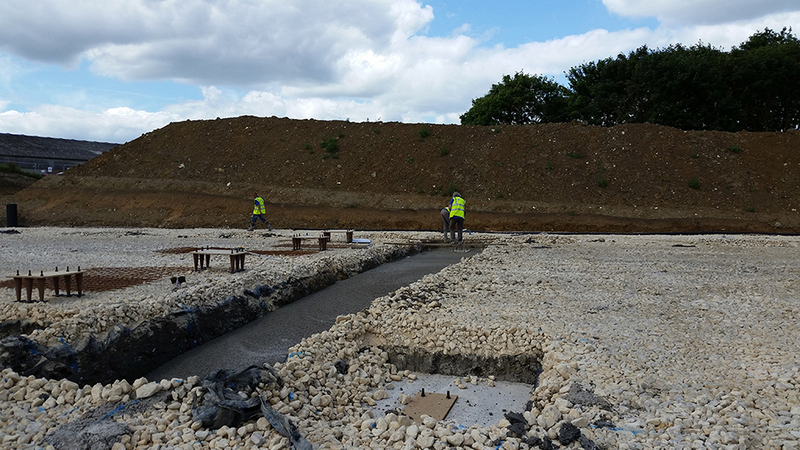 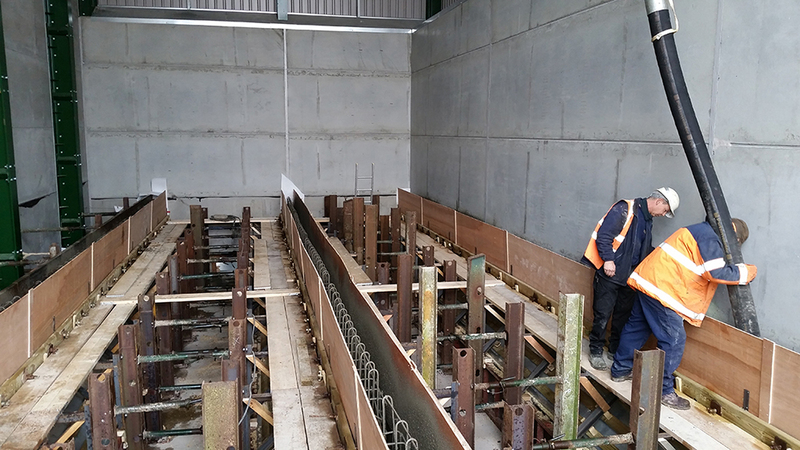 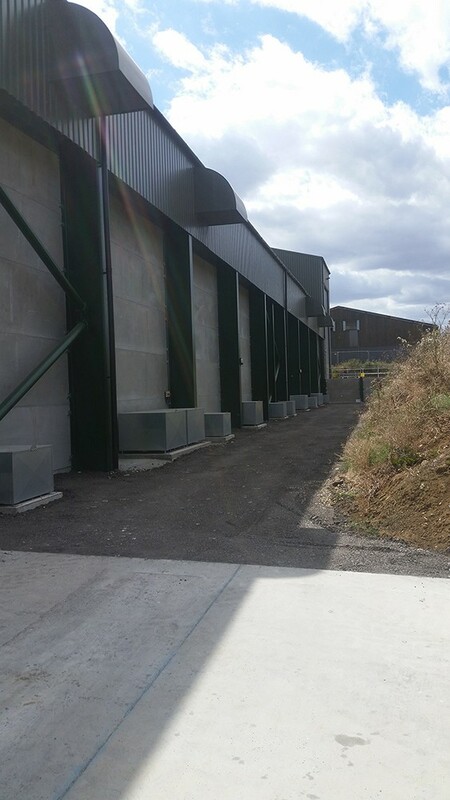 The building has been cut into a slope, which reduces the impact of the building in the landscape and also allows for a large intake pit within a 350tonne bunker area of the building with two trench intake conveyors. 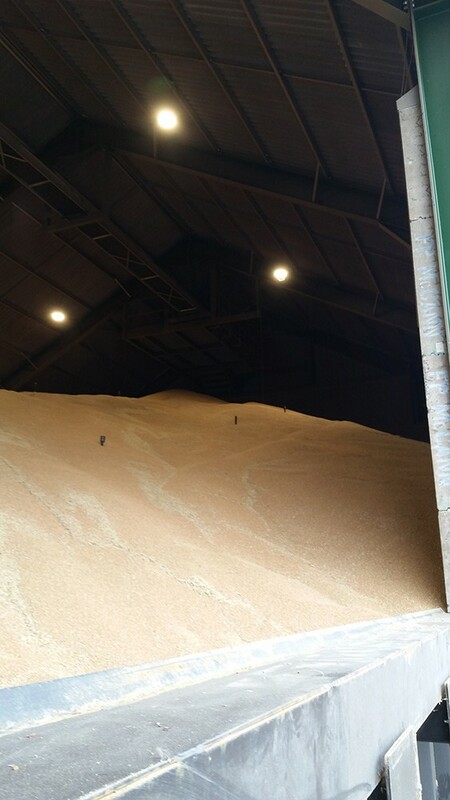 Grain in the two storage areas is stored to 6m at the wall side peaking to 10m under the belt conveyor. 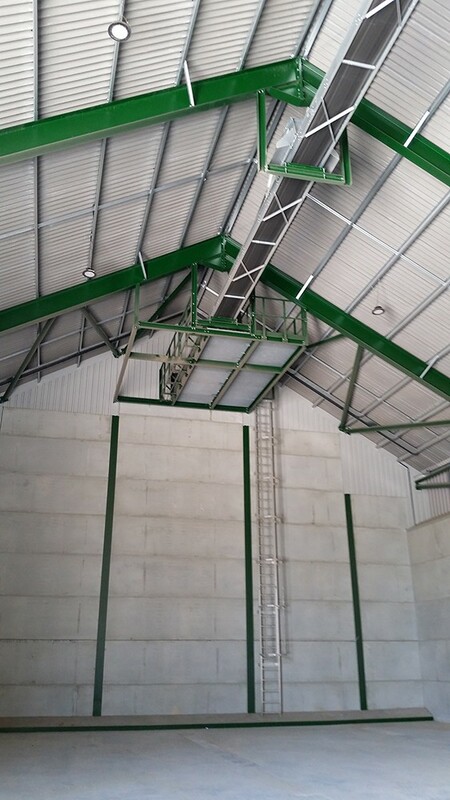 The below floor cooling ducts are arranged so as the building is loaded/unloaded crop can be still ventilated. 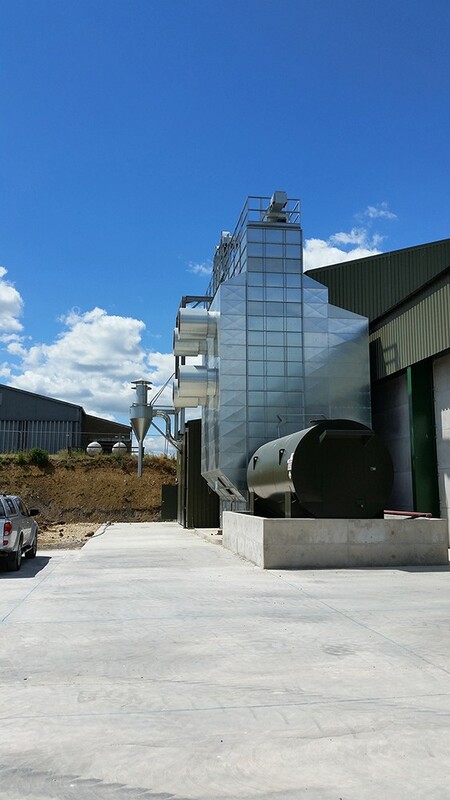 The dryer, plant and grain cooling fans can all be monitored and controlled remotely thanks to the estate’s own super-fast broadband network with a mast on top of the new building.